In a few days, it will officially be Springtime, but Prague doesn’t seem to have received the memo. The streets are icy and in places, they are even covered with a liberal sprinkling of snow. There’s nothing more refreshing than a brisk winter walk, but with temperatures set to remain below freezing for the next few days, now is the perfect time to stay warm discover some new, indoor hangouts. Don’t let the chilly temperatures stand in the way of having a good time! Check out these 5 ideas for remaining active during the last days of the winter chill. 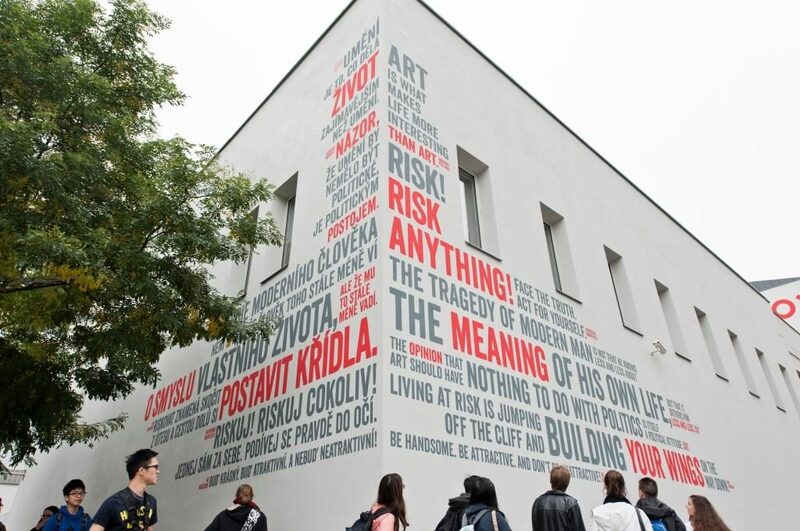 Hidden away in Prague 7, you will find one of Prague’s finest contemporary art galleries. Since it’s outside of Prague 1, it doesn’t get too much tourist traffic, but it’s definitely worth a visit. From the outside, it’s pretty hard to miss. 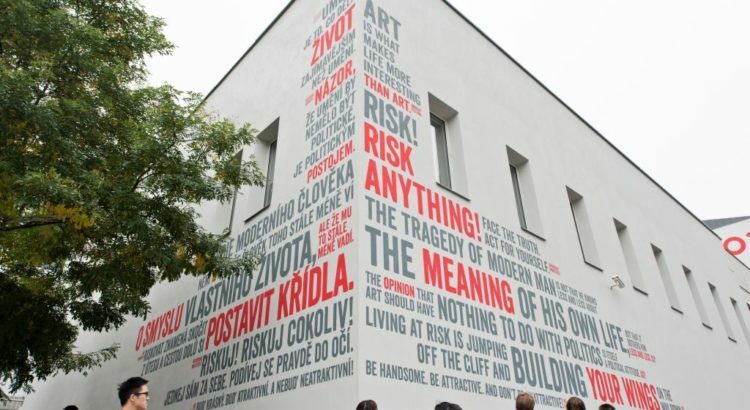 Just look out for the building with the giant wooden blimp on top of it and be sure to check out the inspirational philosophical quotes that are daubed (in Czech and in English) around the building’s outside walls. The exhibits here change regularly, but there will always be something worth seeing. At DOX, you will find work by some of the most current, challenging, dynamic and controversial figures from both the Czech and the international art scene. There’s also a pretty top-notch café, along with a library, archive and reading room. Last but not least, it’s possible to get out onto the roof and explore the interior of the blimp (just remember to put on your coat first). DOX gallery can be found at Poupetova 1, Prague 7. Entry is 180CZK for an adult ticket. For opening hours, check out their website. There are some fantastic independent cinemas in Prague, each of which boasts its own special and totally unique atmosphere. We certainly recommend ditching the big chain cinemas and experiencing something a little bit different. 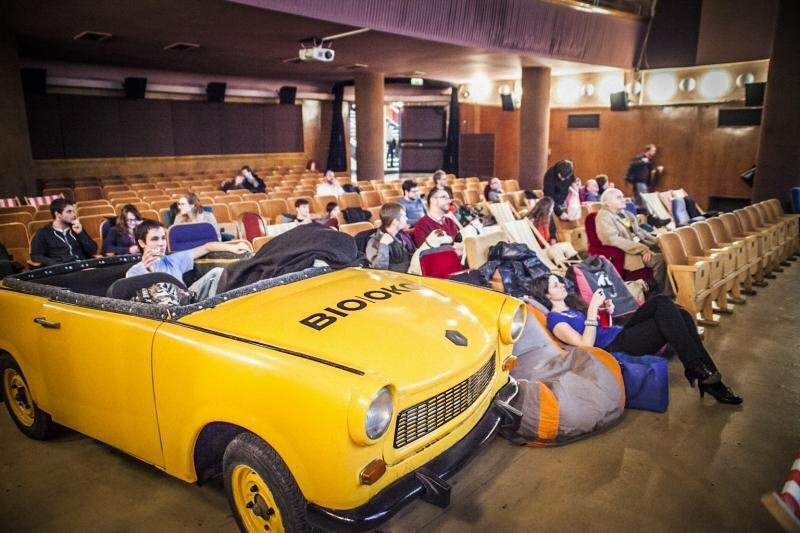 2 of Prague’s best independent cinemas are the sister cinemas, Bio Oko in Prague 7 and Kino Aero in Prague 3. Both show a really broad range of films, including documentaries, foreign films, independent films and of course, the big Hollywood blockbusters. Since both cinemas only have one screen, it’s wise to check beforehand exactly what will be playing and when. Both cinemas have their own bar and both are great places to relax, unwind and meet new people. An added bonus is that it’s possible to take drinks purchased at the bar into the cinema with you. Prague is full to bursting with museums, so when this one opened it’s doors a few months ago, I wrongly assumed that it would be just another tourist trap. I was totally wrong, the Museum of Senses is awesome and the ideal place to pass an icy afternoon. The Museum of Senses is a fully interactive exhibit, which encourages visitors to experience entirely new sensations. Nothing here is as it seems! You will be able to experience sensations that you never knew existed and put your senses to the test. This place really is just as much fun as it sounds. You will constantly be moving from one environment to the next, solving puzzles, bending your mind with seemingly impossible illusions and challenging your conceptions about the world we live in. For those of you who are unfamiliar with the “Escape Room” concept, it is essentially a puzzle which you must complete as a part of a team. 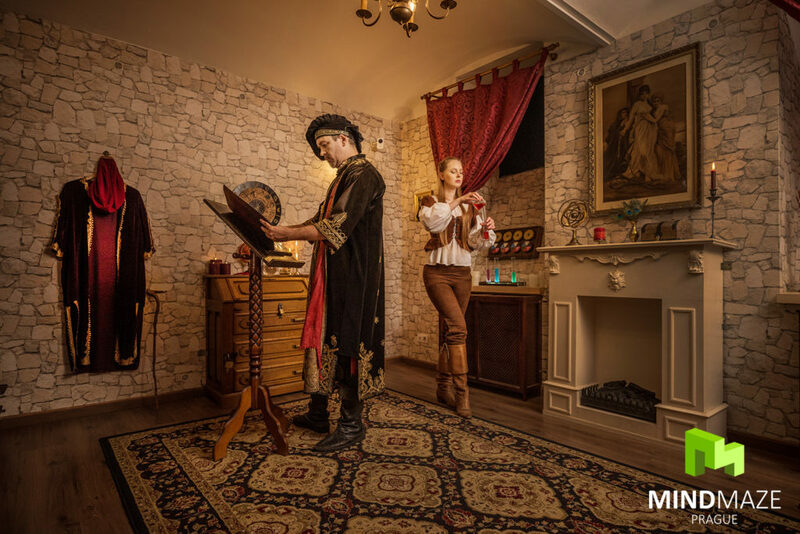 The rooms are all based around different themes, so you could find yourself being held captive on a military base, exploring an alchemist’s laboratory or trapped in the crypt of a Benedictine Monastery. You will always have a task that you must complete and a time that you must complete it in. The tasks are rarely as simple as they appear and usually involve solving series of clues and riddles, which you must first find hidden within your environment. Most games will see you not just remaining in one room but locating hidden doors and moving from one area to another. If it all sounds a bit intimidating, don’t worry. It is always possible to ask for clues if you find yourself stuck. There are lots of escape rooms in Prague and some are certainly better than others. One of the best that I have tried is called Mind Maze. Mind Maze has 3 different rooms to try: The Alchemists Chamber, Enigma and Galactic Pioneers. All rooms are very nicely put together and contain clues that are well thought out. The atmosphere in each room is authentic and memorable, with a high level of detail in terms of decoration and ambiance. Mind Maze has 2 locations in Prague. The Alchemists Chamber and Enigma games can be played at Trysova 9, Prague 2. The Galactic Pioneers game can be played at Balbinova 32, Prague 2. It is advisable to book your game ahead of time via the website. If you feel like unleashing a little competitive spirit, V Cipu is probably one of the best and most impressive billiard halls in Prague. It is hidden away down a rather dubious feeling backstreet, just a stone’s throw away from the bright lights of Wenceslas Square. It is home to 30 billiard tables in addition to ping pong tables and a room at the back for darts. This vast hall is truly a splendid venue, with enormous glass chandeliers, high ceilings, and some beautiful decorative details. In times gone by, it would certainly have been the setting for some rather grand balls and soirees. These days, the chandeliers are in need of a bit of a polish, but the hall is still an impressive venue. They have a range of great beers on tap, which are very reasonably priced for the location. Tip: When you enter the building, you will be given a ticket. On this ticket, the staff will record everything that you drink and the time you spend playing various games. You pay for everything when you leave. Don’t lose the ticket! Lost tickets result in a hefty fine.